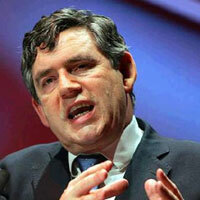 The company of Gordon Brown, treasury chief, was launched on Friday. Brown is to become next premier and win back voters, who are disappointed after a decade of Labour Party rule. He said his government would honor Britain's commitments in Iraq but acknowledged mistakes had been made, and he pledged that his government would be more open and cooperate more with Parliament. "One of my first acts as prime minister would be to restore power to Parliament in order to restore trust in British democracy," said Brown, whose party has fallen behind the opposition Conservative Party in opinion polls for more than a year. Brown, who faces no serious opposition to succeeding Blair as party leader and prime minister, said he will use the next weeks to listen to people's concerns. "I will listen, and I will learn. I will strive to meet people's aspirations," he told a news conference. "I want to lead a government humble enough to know its place, where I will always strive to be, that that is on people's side." He acknowledged mistakes in Iraq, but didn't name any. "We will keep our obligations to the Iraqi people. These are obligations that are part of U.N. resolution, they are in support of a democracy." He said he would be talking to Iraqi government officials and British forces in the country. "I do think that over the next few months the emphasis will shift. We've got to concentrate more on political reconciliation in Iraq. We've got to concentrate more on economic development so that people in Iraq ... feel that they have a stake in the country for the future," Brown said.